This is the moment a fisherman gets inked by while trying reel in a wily squid. 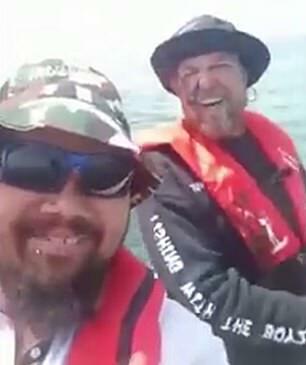 Video footage opens with two fishermen Jarrad Edwards and his friend Casey Mitchell in a small boat just off the coast of St Kilda, Victoria. 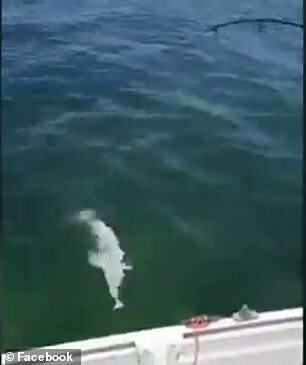 In the video, Mr Edwards, 35, is eyeing off a squid lurking just beside the boat but is struggling to catch the animal. ‘Aw I missed him,’ Mr Edwards says. The camera then captures the squid coming back and Jared successfully manages to catch him on his second attempt. ‘Got him!’ Mr Edwards yells in triumph. But his victory is short-lived – as he reels in the tentacled-beast it unexpectedly sprays black ink onto the surprised angler. Mr Edwards appears to be in shock and closes his eyes as the black ink slides down the left side of his face. Casey Mitchell, who filmed the video, can’t stop laughing and proceeds to take a selfie of the squid’s mess. Jarrad Edwards told Daily Mail Australia that he had been catching squid all afternoon with Casey before the encounter. 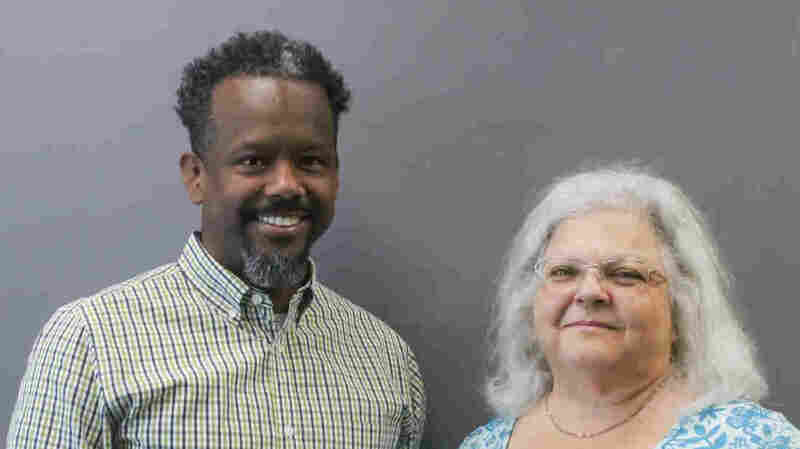 Mr Edwards said he was so happy after he finally hooked it because it was getting late and they wanted to start heading back home. He revealed that the squid had already inked in the water just before so he thought he was ‘safe’. ‘I saw the squid inked in the water so I thought I was safe. Little did I know it had a backup plan,’ he said. The video which was shared by 7 News, has attracted more than 130 likes within the first hour it was shared on Facebook. 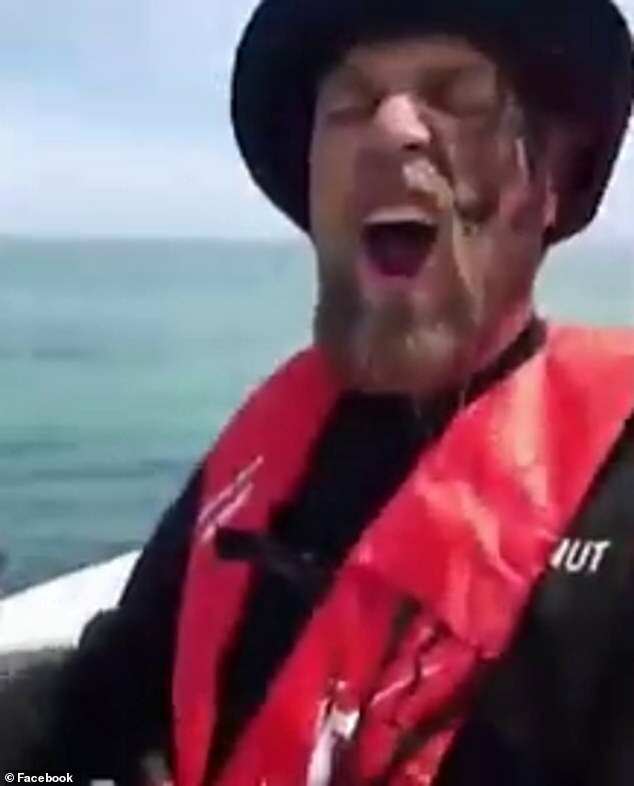 It comes just months after a video emerged of a kayaker who was hilariously slapped in the face by a seal with a large octopus. The viral footage captured by Taiyo Masuda with his GoPro took place off the coast of Kaikoura in New Zealand.